"Commercial break" redirects here. For radio commercials, see Radio advertisement. For the 1997 black comedy film, see Commercial Break. A television advertisement (also called a television commercial, commercial, ad, TV advert or simply an advert) is a span of television programming produced and paid for by an organization. It conveys a message, aimed to market a product or service. Advertisers and marketeers may refer to television commercials as TVCs. Advertising revenue provides a significant portion of the funding for most privately owned television networks. During the 2010s, the number of commercials has grown steadily, while at the same time, the length of each commercial has diminished. Advertisements of this type have promoted a wide variety of goods, services and ideas from early times in the history of television. The viewership of television programming, as measured by companies such as Nielsen Media Research in the United States, or BARB in the UK, is often used as a metric for television advertisement placement, and consequently, for the rates which broadcasters charge to advertisers to air within a given network, television program, or time of day (called a "daypart"). In many countries, including the United States, television campaign advertisements are considered[by whom?] indispensable for a political campaign. In other countries, such as France, political advertising on television is heavily restricted, while some countries, such as Norway, completely ban political advertisements. 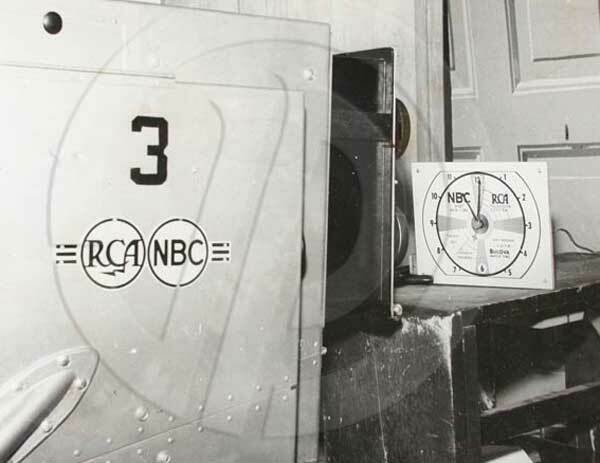 The first official, paid television advertisement came out in the United States on July 1, 1941, over New York station WNBT (subsequently WNBC) before a baseball game between the Brooklyn Dodgers and Philadelphia Phillies. The announcement for Bulova watches, for which the company paid anywhere from $4.00 to $9.00 (reports vary), displayed a WNBT test pattern modified to look like a clock with the hands showing the time. The Bulova logo, with the phrase "Bulova Watch Time", appeared in the lower right-hand quadrant of the test pattern while the second hand swept around the dial for one minute. The first TV ad broadcast in the UK went on air on ITV on September 22, 1955, advertising Gibbs SR toothpaste. In Asia, the first TV ad broadcast appeared on Nippon Television in Tokyo on August 28, 1953, advertising Seikosha (subsequently Seiko); it also displayed a clock with the current time. Television advertising involves three main tasks: creating a television advertisement that meets broadcast standards, placing the advertisement on television to reaches the desired customer and then measuring the outcomes of these ads, including the return on investment. To accomplish the first step means different things to different parts of the world depending on the regulations in place. In the UK for example, clearance must be given by the body Clearcast. Another example is Venezuela where clearance is governed by a body called CNAC. The clearance provides guarantee to the broadcasters that the content of the advertisement meets legal guidelines. Because of this, special extended clearance sometimes applies to food and medical products as well as gambling advertisements. The second is the process of TV advertising delivery and usually incorporates the involvement of a post-production house, a media agency, advertising distribution specialists and the end-goal, the broadcasters. At New York's TV Week in November, 2018 the TV advertising model was described by Turner Broadcasting System as broken. However, with the emergence of over-the-top media services the Internet itself has become a platform for television,and hence TV advertising. TV attribution is a marketing concept whereby the impact television ads have on consumers is measured. Addressable television is where targeted advertising is used on digital platforms, so two people watching the same show receive different ads. After the video cassette recorder (VCR) became popular in the 1980s, the television industry began studying the impact of users fast forwarding through commercials. Advertising agencies fought the trend by making them more entertaining. The introduction of digital video recorders (also known as digital television recorders or DTRs), such as TiVo, and services like Sky+, Dish Network and Astro MAX, which allow the recording of television programs into a hard drive, also enabled viewers to fast-forward or automatically skip through advertisements of recorded programs. At the end of 2008 22 percent of UK households had a DTR. The majority of these households had Sky+ and data from these homes (collected via the SkyView panel of more than 33,000) shows that, once a household gets a DTR, they watch 17 percent more television. 82 percent of their viewing is to normal, linear, broadcast TV without fast-forwarding the ads. In the 18 percent of TV viewing that is time-shifted (i.e. not watched as live broadcast), viewers still watch 30 percent of the ads at normal speed. Overall, the extra viewing encouraged by owning a DTR results in viewers watching 2 percent more ads at normal speed than they did before the DTR was installed. Other forms of TV advertising include product placement advertising in the TV shows themselves. For example, Extreme Makeover: Home Edition advertises Sears, Kenmore, and the Home Depot by specifically using products from these companies, and some sports events like the Monster Energy Cup of NASCAR are named after sponsors, and race cars are frequently covered in advertisements. Many major sporting venues in North America are named for commercial companies, dating back as far as Wrigley Field. Television programs delivered through new mediums such as streaming online video also bring different opportunities to the traditional methods of generating revenue from television advertising. Another type of advertisement shown increasingly, mostly for advertising TV shows on the same channel, is an ad overlay at the bottom of the TV screen, which blocks out some of the picture. "Banners", or "Logo Bugs", as they are called, are referred to by media companies as Secondary Events (2E). This is done in much the same way as a severe weather warning is done, only these happen more frequently. They may sometimes take up only 5 to 10 percent of the screen, but in the extreme, they can take up as much as 25 percent of the viewing area. Subtitles that are part of the programme content can be completely obscured by banners. Some even make noise or move across the screen. One example is the 2E ads for Three Moons Over Milford, which was broadcast in the months before the TV show's première. A video taking up approximately 25 percent of the bottom-left portion of the screen would show a comet impacting into the moon with an accompanying explosion, during another television programme. Online video directories are an emerging form of interactive advertising, which help in recalling and responding to advertising produced primarily for television. These directories also have the potential to offer other value-added services, such as response sheets and click-to-call, which enhance the scope of the interaction with the brand. During the 2008–09 TV season, Fox experimented with a new strategy, which the network dubbed "Remote-Free TV". Episodes of Fringe and Dollhouse contained approximately ten minutes of advertisements, four to six minutes fewer than other hour-long programs. Fox stated that shorter commercial breaks keep viewers more engaged and improve brand recall for advertisers, as well as reducing channel surfing and fast-forwarding past the advertisements. However, the strategy was not as successful as the network had hoped and it is unclear whether it will be continued in the future. In May 2018, Fox Networks Group said its channels would try one-minute commercial breaks, mainly during sports events, but also on some shows on Fox Broadcasting Company. Ads during these breaks would cost more and fewer advertisers would be willing to pay that much. Also in 2018, NBC used one-minute commercial breaks after the first block in many shows. Advertising agencies often use humor as a tool in their creative marketing campaigns. Many psychological studies have attempted to demonstrate the effects of humor and their relationship to empowering advertising persuasion. Animation is often used in advertisements. The pictures can vary from hand-drawn traditional animation to computer animation. By using animated characters, an advertisement may have a certain appeal that is difficult to achieve with actors or mere product displays. Animation also protects the advertisement from changes in fashion that would date it. For this reason, an animated advertisement (or a series of such advertisements) can be very long-running, several decades in many instances. Notable examples are the series of advertisements for Kellogg's cereals, starring Snap, Crackle and Pop and also Tony the Tiger. The animation is often combined with real actors. Animated advertisements can achieve lasting popularity. In any popular vote for the most memorable television advertisements in the UK, such as on ITV or Channel 4, the top positions in the list invariably include animations, such as the classic Smash and Creature Comforts advertisements. Other long-running advertising campaigns catch people by surprise, even tricking the viewer, such as the Energizer Bunny advertisement series. It started in the late 1980s as a simple comparison advertisement, where a room full of battery-operated bunnies was seen pounding their drums, all slowing down except one, with the Energizer battery. Years later, a revised version of this seminal advertisement had the Energizer bunny escaping the stage and moving on (according to the announcer, he "keeps going and going and going..."). This was followed by what appeared to be another advertisement: viewers were oblivious to the fact that the following "advertisement" was actually a parody of other well-known advertisements until the Energizer bunny suddenly intrudes on the situation, with the announcer saying "Still going..." (the Energizer Battery Company's way of emphasizing that their battery lasts longer than other leading batteries). This ad campaign lasted for nearly fifteen years. The Energizer Bunny series has itself been imitated by others, via a Coors Light Beer advertisement, in motion pictures, and by current advertisements by GEICO Insurance. 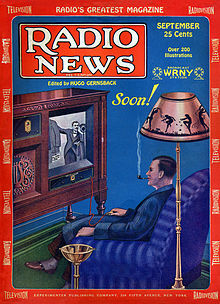 Many television advertisements feature songs or melodies ("jingles") or slogans designed to be striking and memorable, which may remain in the minds of television viewers long after the span of the advertising campaign. Some of these ad jingles or catch-phrases may take on lives of their own, spawning gags that appear in films, television shows, magazines, comics, or literature. These long-lasting advertising elements may be said to have taken a place in the pop culture history of the demographic to whom they appeared. An example is the enduring phrase, "Winston tastes good like a cigarette should", from the eighteen-year advertising campaign for Winston cigarettes from the 1950s to the 1970s. Variations of this dialogue and direct references to it appeared as long as two decades after the advertising campaign expired. Another example is "Where's the Beef? ", which grew so popular it was used in the 1984 presidential election by Walter Mondale. Another popular catch-phrase is "I've fallen and I can't get up", which still appears occasionally, over two decades after its first use. Some advertising agency executives have originated more than one enduring slogan, such as Mary Wells Lawrence, who is responsible for such famous slogans as "Raise your hand if you're Sure", "I♥New York" and "Trust the Midas touch." Prior to the 1970s, music in television advertisements was generally limited to jingles and incidental music; on some occasions lyrics to a popular song would be changed to create a theme song or a jingle for a particular product. An example of this is found on the recent popular Gocompare.com advert that utilises "Over There", the 1917 song popular with United States soldiers in both World Wars and written by George M. Cohan during World War I. In 1971 the converse occurred when a song written for a Coca-Cola advertisement was re-recorded as the pop single "I'd Like to Teach the World to Sing (In Perfect Harmony)" by the New Seekers, and became a hit. Additionally songwriter Paul Williams composed a piece for a Crocker Bank commercial which he lengthened and The Carpenters recorded as "We've Only Just Begun". Some pop and rock songs were re-recorded by cover bands for use in advertisements, but the cost of licensing original recordings for this purpose remained prohibitive in certain countries (including the U.S.) until the late 1980s. The use of previously recorded popular songs in American television advertisements began in earnest in 1985 when Burger King used the original recording of Aretha Franklin's song "Freeway of Love" in a television advertisement for the restaurant. This also occurred in 1987 when Nike used the original recording of The Beatles' song "Revolution" in an advertisement for athletic shoes. Since then, many classic popular songs have been used in similar fashion. Songs can be used to concretely illustrate a point about the product being sold (such as Bob Seger's "Like a Rock" used for Chevy trucks), but more often are simply used to associate the good feelings listeners had for the song to the product on display. In some cases the original meaning of the song can be totally irrelevant or even completely opposite to the implication of the use in advertising; for example Iggy Pop's "Lust for Life", a song about heroin addiction, has been used to advertise Royal Caribbean International, a cruise ship line. Music-licensing agreements with major artists, especially those that had not previously allowed their recordings to be used for this purpose, such as Microsoft's use of "Start Me Up" by the Rolling Stones and Apple Inc.'s use of U2's "Vertigo" became a source of publicity in themselves. In early instances, songs were often used over the objections of the original artists, who had lost control of their music publishing, the music of the Beatles being perhaps the most well-known case; more recently artists have actively solicited use of their music in advertisements and songs have gained popularity and sales after being used in advertisements. A famous case is Levi's company, which has used several one hit wonders in their advertisements (songs such as "Inside", "Spaceman", and "Flat Beat"). In 2010, research conducted by PRS for Music revealed that "Light & Day" by The Polyphonic Spree is the most performed song in UK TV advertising. 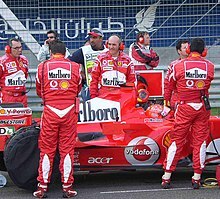 In the late 1990s and early 2000s, electronica music was increasingly used as background scores for television advertisements, initially for automobiles, and later for other technological and business products such as computers and financial services. Television advertising has become a popular outlet for new artists to gain an audience for their work, with some advertisements displaying artist and song information onscreen at the beginning or end. ^ For example: Mahfooz, Yasser; Mahfooz, Faisal (2013). "8: Consumer Behavior Perspective for Fairness Creams: A Case of 'Fair & Lovely'". In Jham, Vimi (ed.). Cases on Consumer-Centric Marketing Management. Advances in Marketing, Customer Relationship Management, and E-Services (AMCRMES) Book Series. Hershey, Pennsylvania: IGI Global. p. 99. ISBN 9781466643581. Retrieved November 4, 2016. The association of achievement by lightening one's skin is a message conveyed in the TeleVision Commercial (TVC). ^ Luckerson, Victor (May 12, 2014). "Here's Exactly Why Watching TV Has Gotten So Annoying". Time. Archived from the original on August 14, 2017. Retrieved August 6, 2017. ^ Flint, Joe (May 12, 2014). "TV networks load up on commercials". Los Angeles Times. Archived from the original on August 9, 2017. Retrieved August 6, 2017. ^ Steinberg, Brian (January 19, 2016). "If The 30-Second TV Ad Is Dying, TV Networks Are Helping To Kill It". Variety. Archived from the original on August 6, 2017. Retrieved August 6, 2017. ^ "Imagery For Profit" R.W. Stewart, The New York Times, July 6, 1941. ^ "US TV Ad Spending to Fall in 2018 - eMarketer". eMarketer. Archived from the original on July 31, 2018. Retrieved July 31, 2018. ^ cnac.gob.ve. "CNAC – Ente rector de la Plataforma del Cine y Medios Audiovisuales de Venezuela". cnac.gob.ve. Archived from the original on February 20, 2015. Retrieved January 20, 2015. ^ "SkyView". Skymedia.co.uk. Archived from the original on September 3, 2013. Retrieved September 1, 2013. ^ Brian Stelter (February 12, 2009). "Fox TV's Gamble: Fewer Ads in a Break, but Costing More". The New York Times. Archived from the original on May 12, 2013. Retrieved February 13, 2009. ^ Disis, Jill (May 17, 2018). "Is the 1-minute commercial break the future of TV?". CNN Business. Retrieved April 17, 2019. ^ Hill, Michael P. (October 5, 2018). "NBC forgoes complete brand overhaul, but does add new vanity card". NewscastStudio. Retrieved April 17, 2019. ^ "thinkbox – Classic Ads". Thinkbox.tv. Archived from the original on March 5, 2009. Retrieved November 30, 2013. ^ "Explore". Channel 4. Archived from the original on April 3, 2010. Retrieved November 30, 2013. ^ "Levi's TV Advert Music – Sounds-Familiar". Archived from the original on November 12, 2018. Retrieved November 12, 2018. ^ "Sainsbury's song tops adverts playlist". The Daily Telegraph. April 19, 2010. Archived from the original on September 2, 2013. Retrieved September 1, 2013. Renée Dickason, British Television Advertising – Cultural Identity and Communication, University of Luton Press, UK, 2000.